There’s a big debate going on in offices, in the middle of it is the questions “who is the hottest gay couple in our Celebrity Secret Wedding list”? 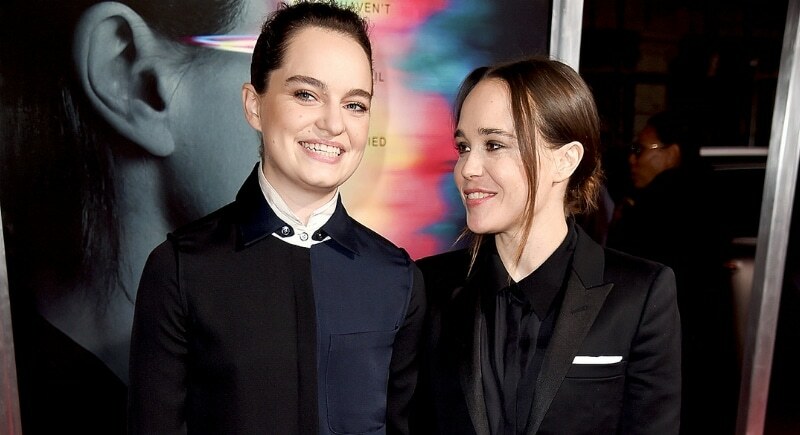 And while Neil Patrick Harris and David Burtka (link) certainly put up a serious fight, we’re leaning towards Ellen Page and Emma Portner. First of all, let’s get this out of the way: YES! Ellen Page is gay. Now that you’re free from the rock you’ve been living under, let us tell you about the check out this photo Ellen posted on her Instagram last January saying “Can’t believe I get to call this extraordinary woman my wife”. Hollywood off-site superstars were “caught” in October 2017 by the Daily Mail dancing and partying on a beach in Ibiza, Spain. They two wore wedding rings that they exchanged with one another the day before in secret private ceremony on the island. They met each other in 2011 on the set of the independent film “Shame”, directed by Academy Award winner Steve McQueen (“12 Years a Slave”). Since then they’ve worked together on another film, “The Light Between Oceans” that was filmed during 2014; by the end of that year, they began dating. The happy couple now resides in Lisbon, Portugal in a luxury apartment.